275 litre top mount is rated 3.3 out of 5 by 12. Rated 1 out of 5 by Libby from BEWARE Does NOT Have Enough Shelving/Door Storage we purchased this, and are NOT VERY HAPPY. it does not have enough shelving in the Fridge AND Freezer AND the door compartments for storage either. 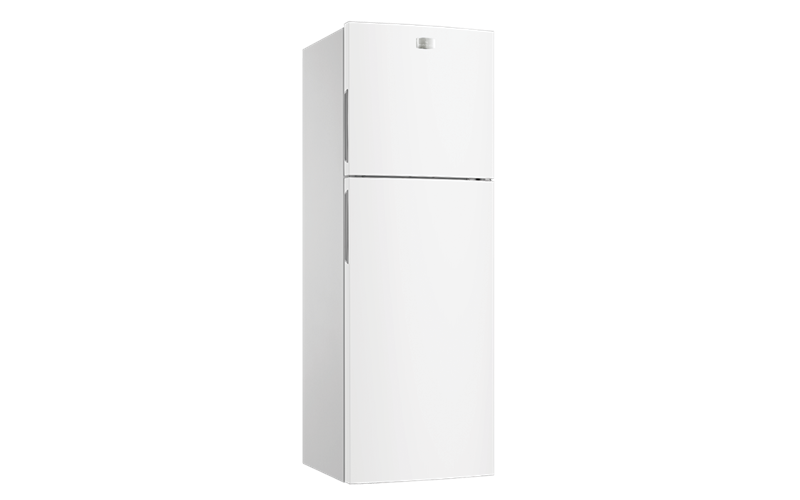 when we contacted Kelvinator, they said they are 'Optional Extras' at a cost of $47.95 for each shelf PLUS Freight Costs at a cost of $44.95 for each door shelf PLUS Freight Costs the fridge only cost us $550 delivered. and to buy the 'optional extra' shelving its going to cost $278.70 Plus Freight !! what a rip-off of a company. we will NEVER purchase anything in this brand again. Rated 1 out of 5 by Jimbo sammyfork from Comes without door shelves This fridge comes standard missing 3 of the door shelves. Apparently that's how it's supposed to be. I haven't had a chance to price shelves yet but read above that they are pricey. When comparing options on fridges one does not naturally check that it comes with all expected shelves, one would expect that if they don't come with shelves, you'd be told. Kind of like buying a car and It turns up with no front seats, silly me for assuming there would be front seats! Rated 2 out of 5 by Ange from Great price but lacking features We bought this fridge a month ago as we needed a fridge with a smaller height to fit a space. It was a good price, however it does not have all the shelving inside. There are 3 extra spaces that you could put shelves. I enquired with Kelvinator if I could buy some extra shelving but this was going to cost me half the cost that I'd paid for the fridge. Rated 3 out of 5 by zb54 from Medium size fridge I bought this fridge because of limited space availabe in our kitchen. Product fulfil requirements and doing the job. It is little bit noisy. My major issue with the product and is limited number of shelfs. Additional shelfs are quite expensive. Rated 5 out of 5 by Kenny from Great Price & roomy I bought this several months ago & find it suit my need, nice cool & quiet operation!! Rated 3 out of 5 by Harishck from Can be better Bought it a month ago.Smaller than i thought ,should have checked it at some store physically before ordering online. Major disadvantage is lack of shelf (one provided)/ bottle holding tray(only one provided)/ egg tray.It's expensive if these needs to be bought later ,as only Kelvinator stocks it.LED lights are pleasing. Rated 3 out of 5 by Piggy from Less than expected I bought this a month ago and I’m surprised that there are so lack of space on both doors with the KTB series. Other than that, I’m happy with the service provided.